When Michael Bay brought the Transformers back to the big screen over a decade ago, he believed he had to rework them for the modern age. 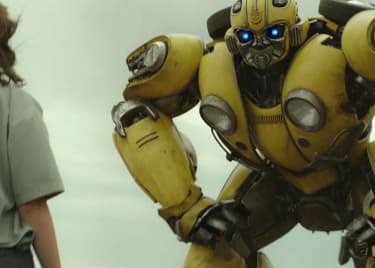 Travis Knight, director of Bumblebee, is determined to take the franchise back to its roots. He grew up as a fan of the original 1980s Transformers animated series, and Bumblebee is essentially a love-letter to the franchise that was such a core part of his childhood. 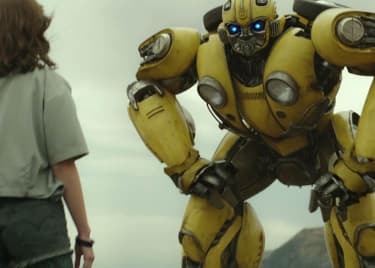 The new Bumblebee trailer balances the core story, in which the Autobot befriends a human girl Charlie, and also reveals the war on Cybertron that prompted Bumblebee to come to Earth. 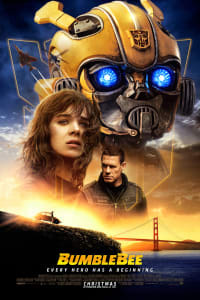 The trailer also confirms that Travis Knight has gone back to the Transformers’ animated roots. Here are all the additional characters the trailer confirms will be reintroduced in the film. The film will introduce a number of key Decepticons, although not all of them will make their way to Earth. One of the most exciting is the master spy Soundwave. He transforms into a cassette recorder (it was the ’80s, remember), and transported other Decepticons inside him as spies and saboteurs. The trailer even shows one of these Decepticons – the ferocious Ravage – springing out of Soundwave’s chest. It’s a perfect recreation of the animated series. Then there’s the cold, emotionless mad scientist, Shockwave. He’s Megatron’s second-in-command who transforms into a gigantic ray-gun. Shockwave is seen leading the Decepticons on Cybertron. Since the war on Cybertron isn’t expected to be a major part of the film, we shouldn’t expect to see much of him in the film. The brief glimpse of Shockwave also depicts two Decepticon fliers, Starscream and Blitzwing, in the background. The main Decepticon villains, however, are Shatter and Dropkick. They have pursued Bumblebee to Earth. Clearly, they’re happy to manipulate humans into helping them. Both are triple-changers, able to switch between both airborne and land vehicle forms as well as their robot configuration. The trailer shows several scenes of the Transformers moving from form to form with a speed we’ve never before seen on the big screen. These transformations are fast and fluid and super-cool. This promises to be a Transformers movie like nothing we’ve seen before. The character designs are on point, and there’s almost a sense of Spielberg magic in the trailer. 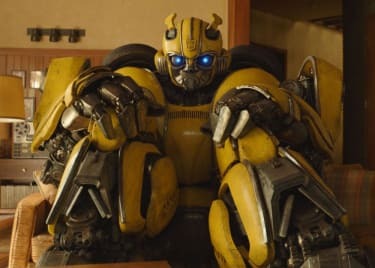 The final scene, in which Bumblebee makes himself at home in his friend’s living room, is perfectly done. It sets a very different tone from any of the Michael Bay movies. After the disappointing box office performance of Transformers: The Last Knight, this is sure to breathe new life into the franchise.